As you guys know – and if you didn’t know, I’m not sure how we’re friends – today is the first Saturday of college football season. If you ask me, this should be a national holiday, it is THAT sacred. The hubs and I woke up this morning and immediately dove into a favorite ritual – ESPN’s College Game Day. Three hours of talking about football before watching 12 hours of football? SIGN. ME. UP. Oh yes. It's that time again! 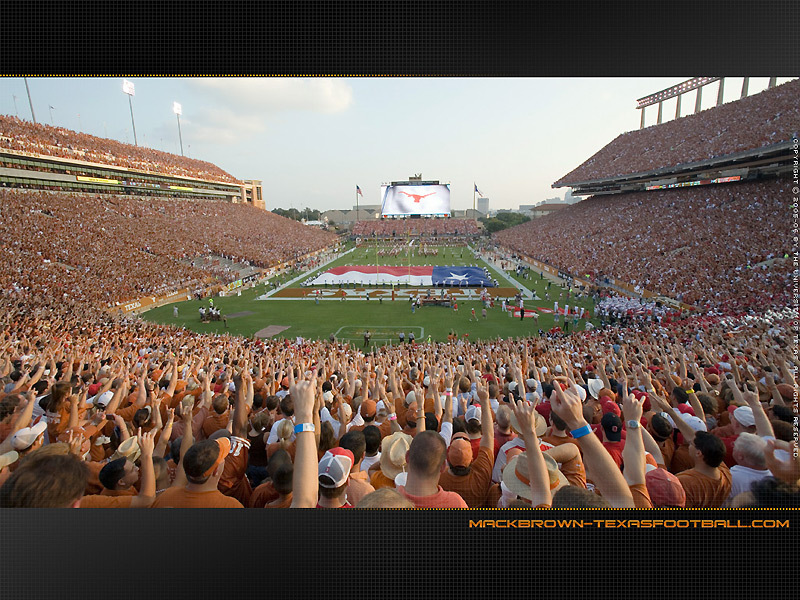 Fast forward to 6 p.m. It’s one hour until both the UT and OU games kick off. 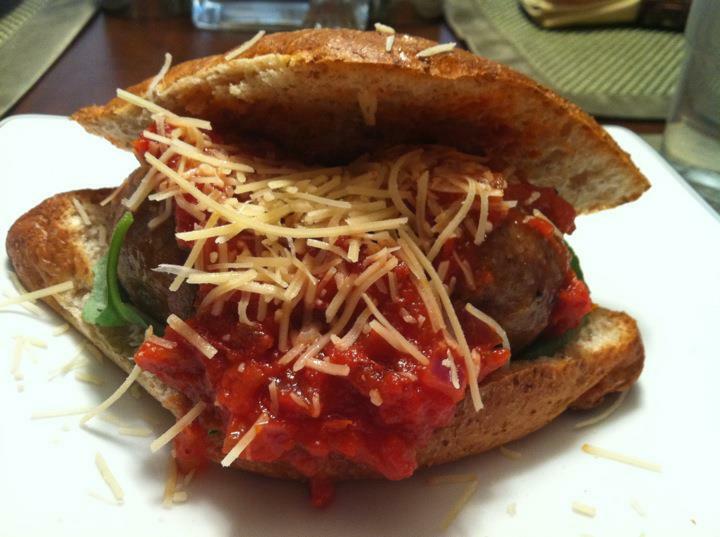 I’ve decided to cook mozzarella-stuffed Italian meatball subs for dinner, as it seems like an appropriate game day meal. I’ve already resigned myself to watching the OU game on FX while following my beloved Longhorns on Twitter, since no major cable provider has agreed to pick up the newly launched Longhorn Network. (PS – My school has its own TV station. That’s what’s up.) Shortly after dinner, and 5 minutes before kickoff, the hubs slinks into the guest bedroom/home office. A moment later he exclaims “I am the man!” “Tell me something I don’t already know!” I say. He then bounds into the living room, proud as a peacock, to tell me he’s found the Texas game online, for my viewing pleasure. I shattered the world record for time it took me to go from the living room couch to the guest bedroom – I’m pretty sure it was milliseconds. There, on the giant widescreen computer monitor, is a sea of burnt orange and my beloved Texas Longhorn football team in high definition. And THAT, my friends, is how you score Husband Points. Take note! So, tomorrow is the Big XII Championship. 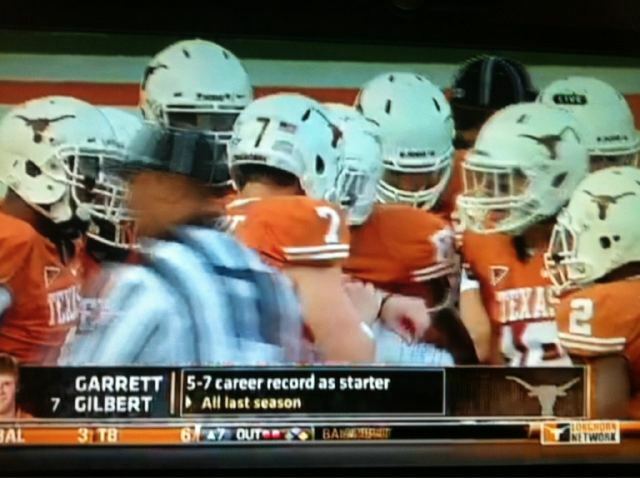 However, I find it difficult to call it a “Championship” since Texas isn’t playing. No, Texas did not play like Champions – or Muschampions, as I like to say – this year, but I’m biased and love them more than that *other* team that tends to represent the Big XII South when my team does not. The Weatherman, however, is super excited that the *other* Big XII South team is playing in the Championship. Normally, he would make me watch (and try to get me to cheer for) the *other* BTS team, but this year he has to work (the game is Saturday at 8 on ABC and the news starts at 9 on FOX), so I’m off the hook. Poor guy, I know he’s upset. At least he’ll get to watch the beginning and very end. So, if I do watch (and I probably will), who will I cheer for? Normally I’d say I’d cheer for the BTS, but it’s just SO HARD when it’s that *other* team. (Remember when I took the Weatherman to the Big XII Championship the first year we dated? VY had just forsaken us for the NFL, Colt McCoy hadn’t yet grown into his Big Boy Pants, and we got 2nd in the BTS? He made me wear a shirt AND cheer for the other team. It hurt my soul, but I did it. Clearly it was love.) ANYWAY. Who to cheer for? We all know what I’m talking about. I’ve surrendered bragging rights for the next year, thanks to the collective stupidity of Jackson Jeffocat, Aaron Williams and Greg Davis. Well, the most magical weekend of the year has finally arrived – Texas/OU Weekend. Like any burnt orange-blooded American, I love Texas/OU Weekend and look forward to it every year (yes, even if I think we’re going to lose – like I do this year). As you know, the Texas/OU rivalry gets taken to another level when you are madly in love with someone from the enemy school. I think it’s pretty obvious how Chad and I feel about each other, but there are standing rules about Texas/OU Weekend that keep this love – and each person – alive. We are both VERY passionate about our schools, and without the rules below, we just might kill each other. 1. Don’t talk after kickoff. It’s true, we literally DO NOT TALK (or text, email, whatever the kids are doing these days) from kickoff until church the next day. Why? Well, obviously SOMEONE is angry at the end of the game, and it would be best for the other person just to give them space and time to deal with their emotions. 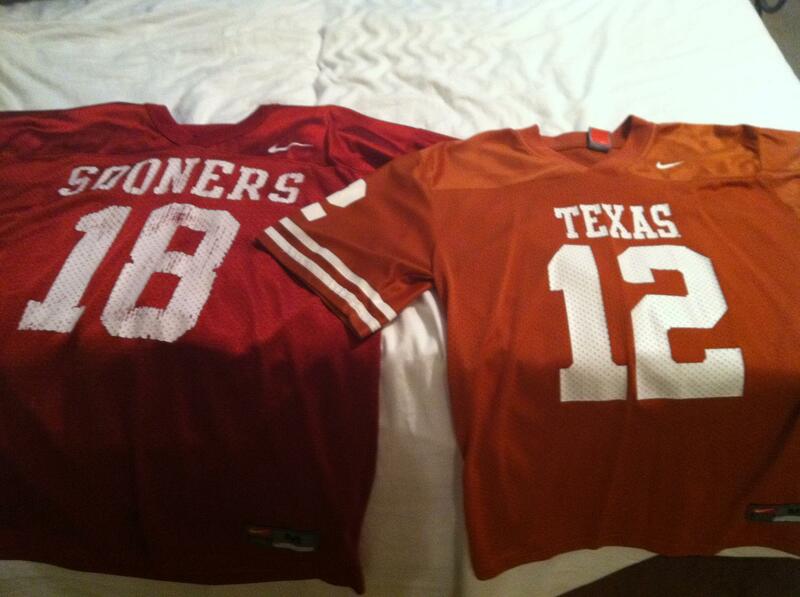 So those are our Texas/OU Weekend survival tips – what do you think? Also, note that this year the game kicks off at 2:30 (LAME), so Chad will only get to watch the first half before he has to go to work. I, on the other hand, will be watching the game in Dallas with my good friend Andrew and anyone else who wants to join – let me know if you’re going to be in town!